Manufacturing growth throughout the world increased at a solid, if unspectacular pace in July, the preliminary releases of the Markit PMIs show. 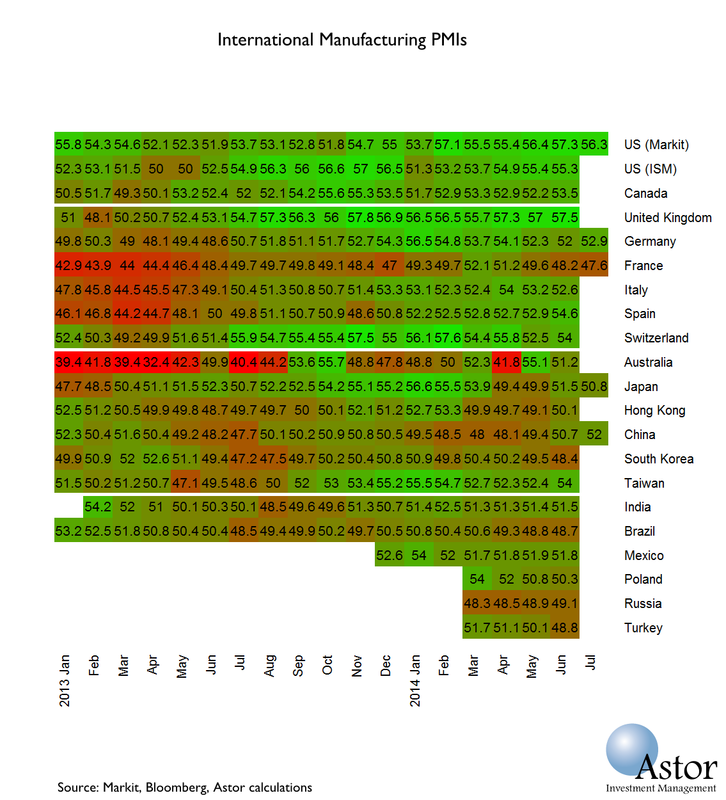 The chart shows manufacturing PMIs across many of the more important countries in the world, the rightmost column, July 2014, is the preliminary data released July 24. The rate of growth increased in China to a new high over the rolling 12 months. There is still concern about the outlook for Chinese growth this year. The French PMI has fallen four months in a row to concerning levels, the lowest in Europe according to this selection of countries. There may be some weakness showing up in Eastern Europe. 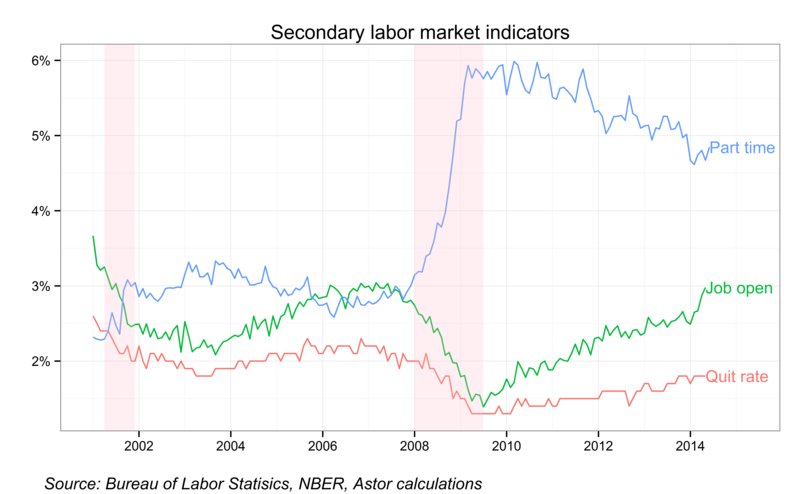 It is not clear if this is directly to do with the tensions in the Ukraine this year, but the data we have is all for June, not reflecting the recent deterioration. For a more positive take on European growth see this Bloomberg report. In conclusion, no major changes to our assessment though the Investment Committee continues to keep a concerned eye on the details of growth in Europe.